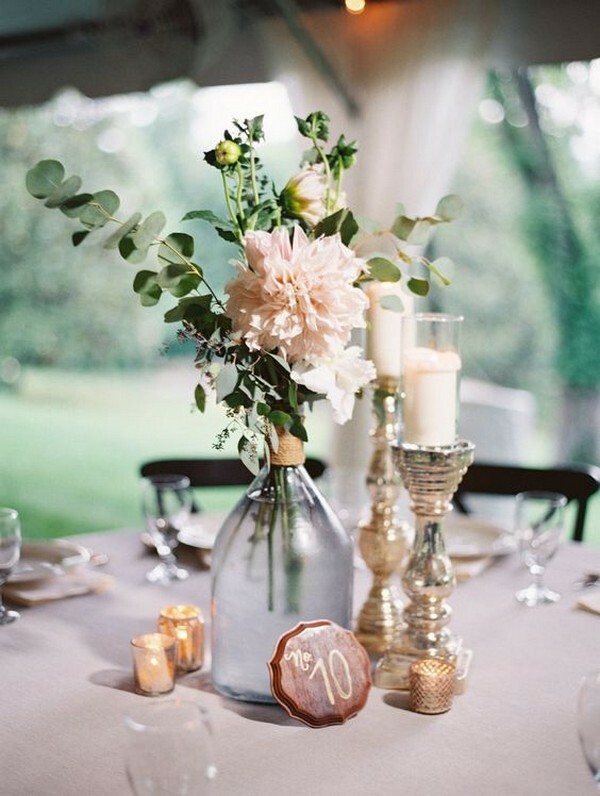 You don’t have to spend a lot of money on wedding table decorations if you focus on a few key items. 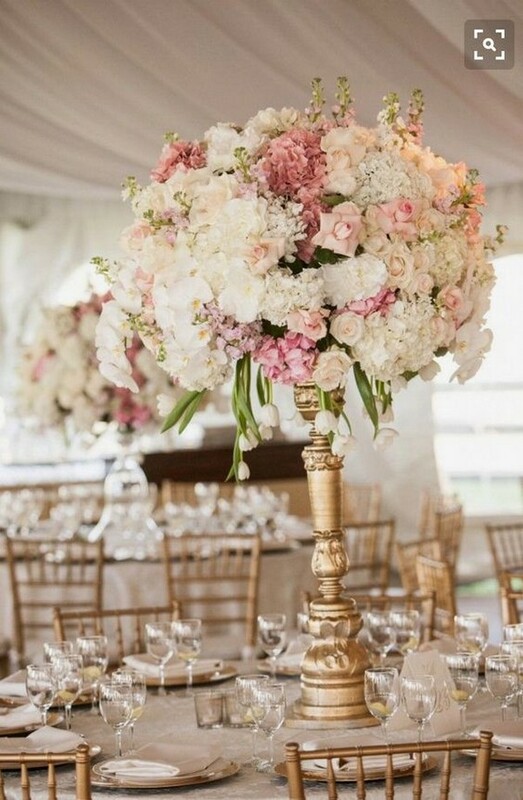 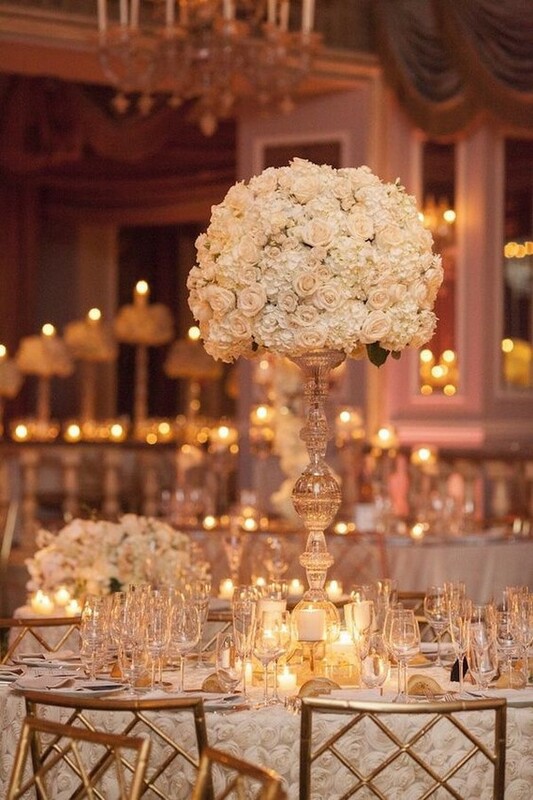 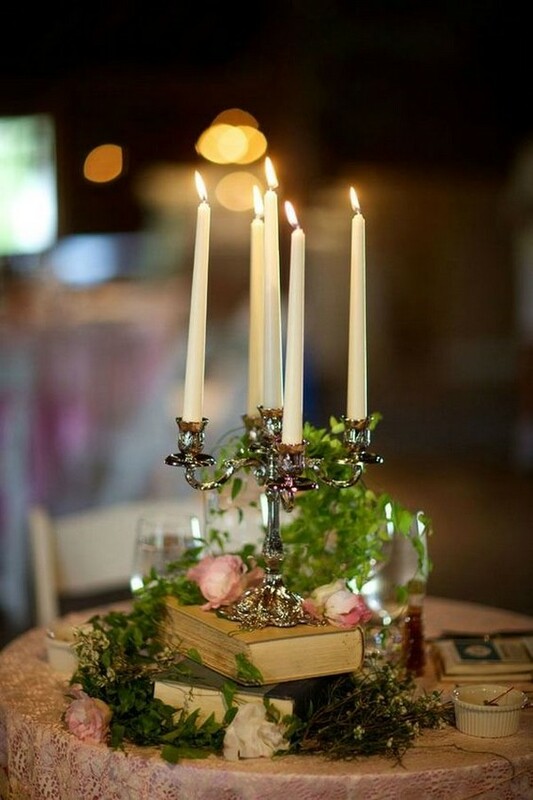 One of my favorites are candle centerpieces that make a statement without going over the top. 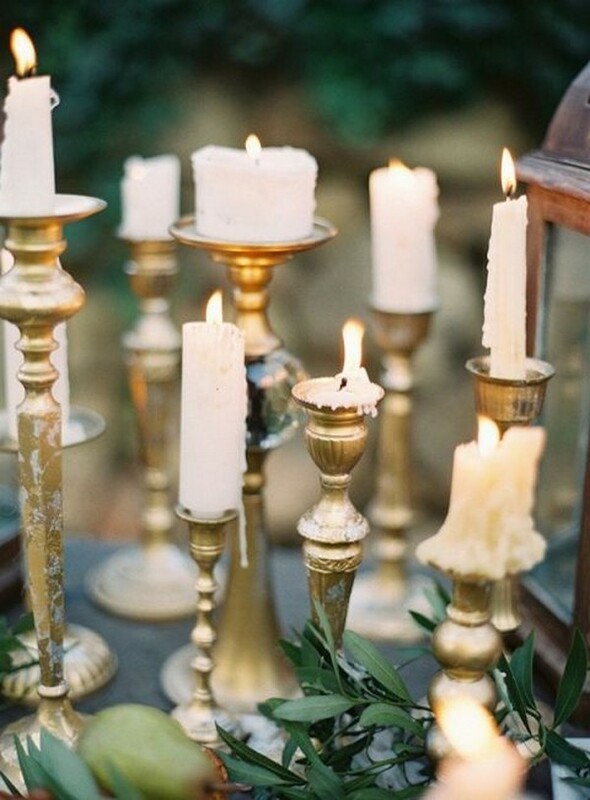 For example, simple votives go from drab to fab when you pair them with string lights (and use a lot of them!). 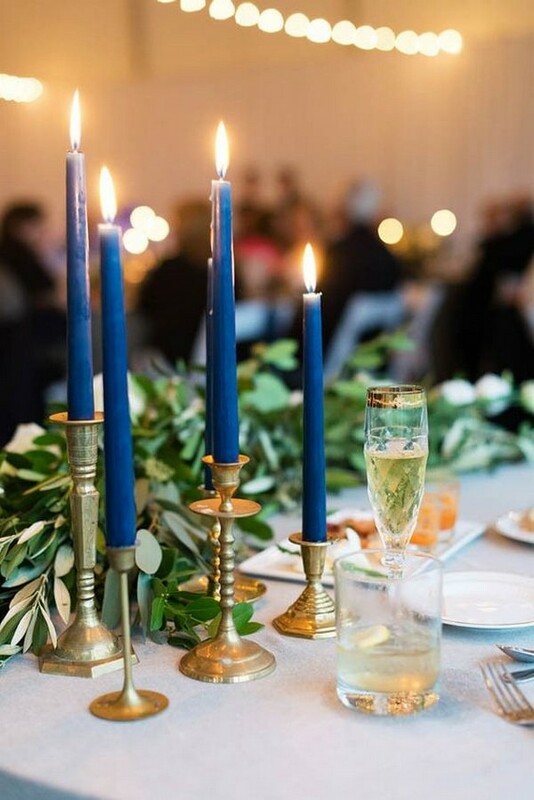 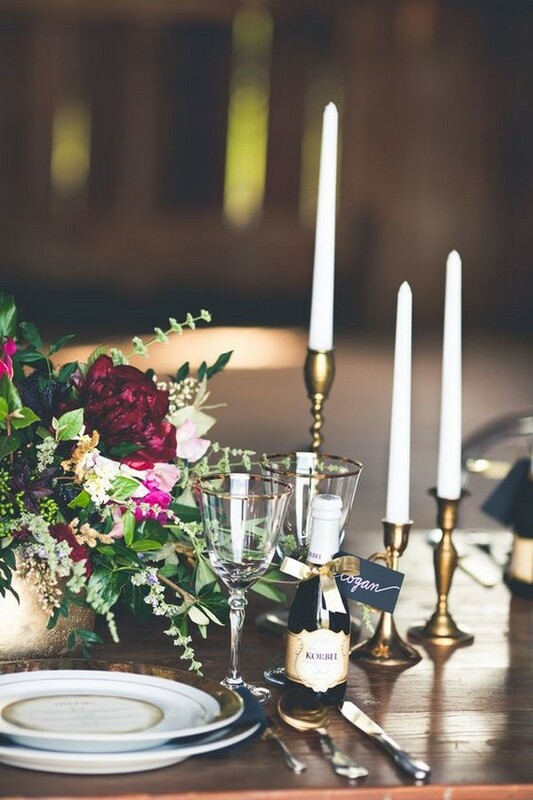 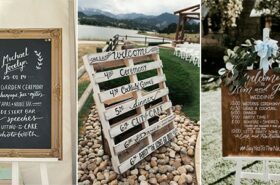 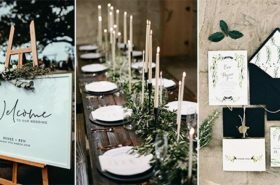 Everyday items you can find in the kitchen such as apples, artichokes, mason jars or wine glasses also get a major wedding makeover when used as DIY candleholders. 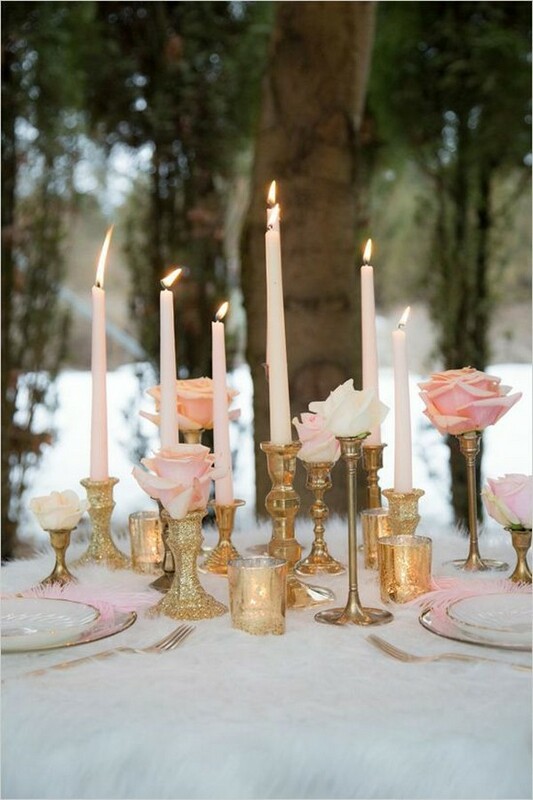 You can also incorporate items such as branches, pumpkins, and fresh lavender into your tablescape by using them to accent your candles. 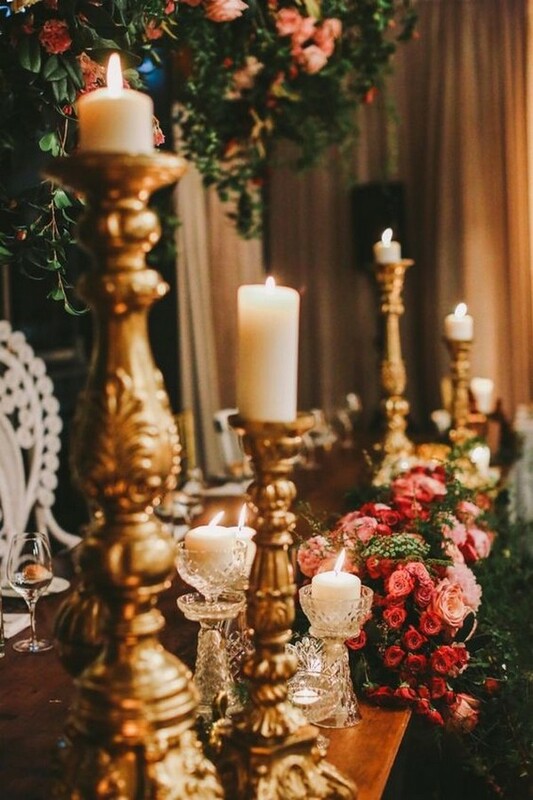 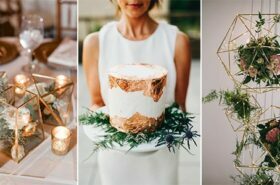 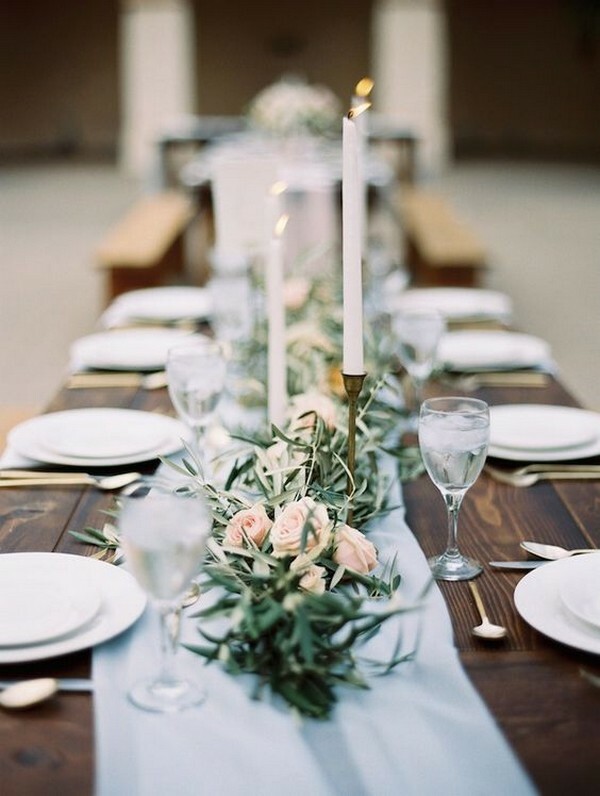 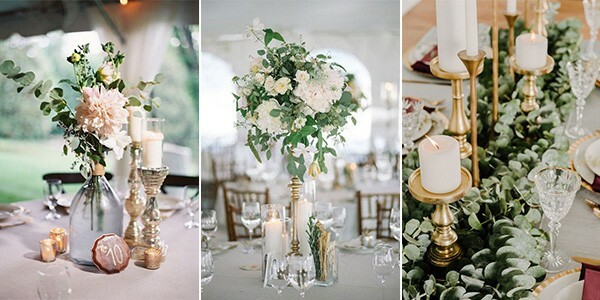 Here I’ve rounded up 20 candle wedding centerpieces for your reference.